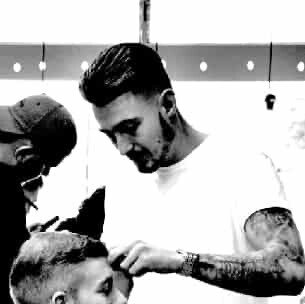 Meet our team of highly skilled Barbers in Southampton. Our professional and friendly team offer a warm welcome to customers both old and new! Valters one of the Man Cave Owners - Originally trained in his home land of Latvia, and came to the UK to hone his skills 11 years ago. 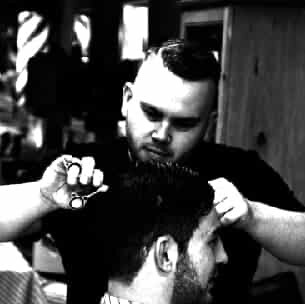 Valters found his place working under local legend George @ Empire barbers. High skilled now with over 16 years trade experience and few years of shaving experience. 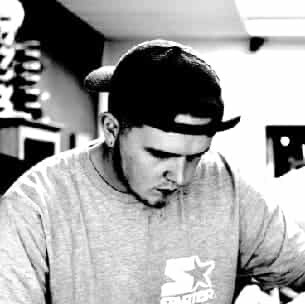 Co-Founder and one of the shops 3 Master Barbers Leon has years worth of industry experience. Having worked in several shops all over the south of England, Leon decided theirs no place like home and set up shop in Southampton. "i think the shop now offers little bits from every shop I've ever worked in, Only 10 x Bigger and 10 x Better. I wanted to show Southampton something new, a shop with an attitude and character of its own." Yes! Probably the one you've heard so much about! 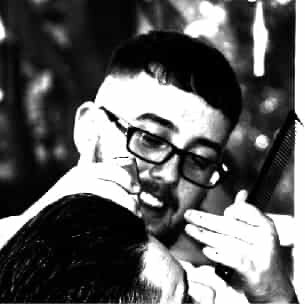 Dan is one of the shops longest serving stafff having joined us in year 1, and what he lacks in customer service skills he makes up for with his trims specialising in Afro Carribean and Asian hair. Dan enjoys spending his spare time on Tinder, we think he should stick to Pokemon Go as he would stand a greater chance of swiping and catching. This guy is so skinny he makes Jack Skeleton have a complex about his weight. We like to think of Sam as our rescue pet, we threw some food down and lured him in and now were feeding him back up to full health. 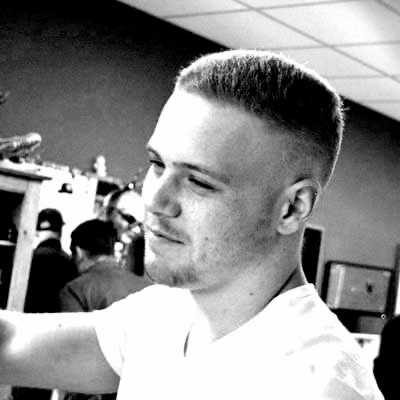 Sam brings a real passion to barbering and is mastering his skills within our supportive team evnviroment. Sam likes "Socialising" on weekends, weekdays and holidays, infact hes a full-time mess outside of work, he once got kicked out of an AA metting after making an enquiry into the end of course piss up. You'll find Matt underneath the giant Thumb print of his Mrs, This lad is 100% whipped lads, but to be fair he needs it. Matt joined us early in 2017 and has developed so much in a short time, and we are all excited to see where he can go long term. I would love to tell you all what Matt's into in his spare time but it a little innapropriate, lets just say he likes films and is looking forward to blue-ray hitting the adult entertainment industry. No not the one from Ibiza Weekender (however he does like a drink). Jordan joined the Man Mave team in July, and brings with him a large skill set. Trianing on the Island Jordan decided to set his eyes on Southampton and one of its footballers wags. Jordan enjoys the Gym (not leg day) and is a fan of the sesh in his time off. Ennis is like an English Ivan Drago, only shorter, skinnier, and a lot wetter. Refers to himself as a "Promo God" however seems to struggle promoting himself (long term). Ennis is the shops little helper and will greet you on your visit to the store. In his spare time Ennis enjoys football, socializing and playing pass the parcel with his friends.